In Northern Mozambique almost 1 in 5 children were dying before they reached their 5th birthday due to water borne disease and lack of access to basic medical care. Since 2006, we have been working with 16 remote communities to improve health and education. As this blog is posted, a nurse, with midwifery training, is being recruited to live within the new medical centre in Guludo. The excited community are poised to make the finishing touches by building a toilet block together next week for their newly resident medical expert. The building project is led by Abacar, who you can see in his high visibility jacket above. 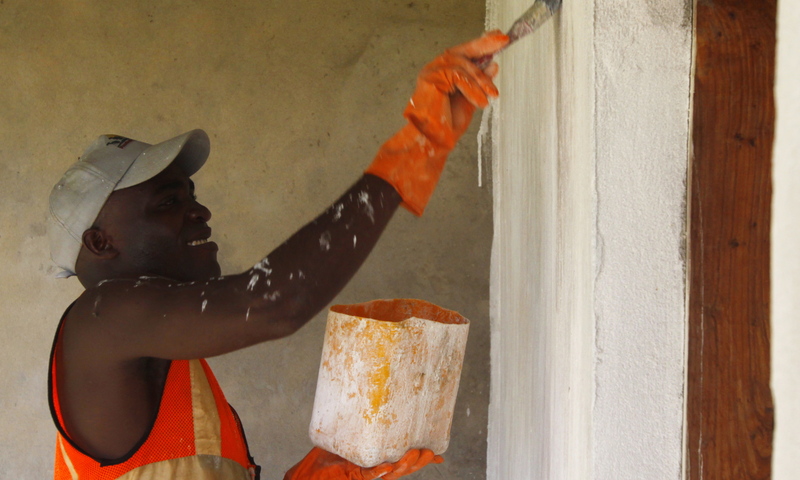 Abacar, born in Guludo Village, has been involved in this community project since 2008. Starting off as a labourer, he has recently become a foreman. Originally illiterate, his literacy and numeracy have improved dramatically. A visiting French doctor did a few trial days in Guludo’s nearly complete medical clinic. The Doctor saw Abacar’s son who had been playing near his father. The doctors trained eyes could see that he had a serious problem with his stomach. He was given the right medical attention. Abacar and the community were given an insight into how different life is with accessible medical support. Soon, with the recruitment for the nurse in process, this will become their daily reality. Malaria is still the number one killer in Mozambique and with the new clinics, this can be monitored and medication will be readily available in the area. In Guludo Village, this clinic really will save lives. Further to this medical clinic, community teams have been coming together to install the three running water points in Guludo, Lumuama and Nuande villages. It is amazing to see the communities take responsibility for the building and maintenance of these resources. 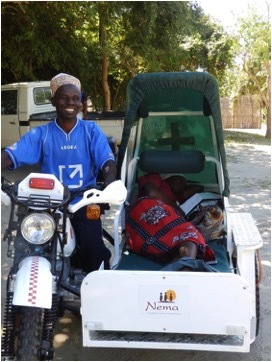 The two new motorbike ambulances we have purchased have arrived and are already in use. Lumuama has a population of approximately 700 people and a few years ago, Global Angels installed the first water point in the area. Though this made a huge impact, the village was spread across such a large area, that the decision was taken to install a second pump. With the new well fully operational, no members of the community ever need to drink the muddy water from the pond that they used to rely on. Now everyone has access to safe drinking water.